In spite of common beliefs in higher education, language departments may not be the best places to learn languages given that the majority of faculty specialize in literary and cultural studies and a minority specialize Linguistics (VanPatten, 2015). The Chair is the assigned leader in foreign language (FL) departments which is not a field specific position, regardless of the make-up of faculty profiles. However, one assigned/emergent leadership role is that of the Language Program Director (LPD) which has a related scientific field of its own: Second Language Acquisition (SLA), a subfield of linguistics whose empirical research findings fuel language-teaching decisions and innovations. Traditionally, nonetheless, this leadership role has been held by faculty out of discipline and thereby this role is often emergent in nature. The purpose of the present chapter is to discuss strategic leadership in the FL department, common misperceptions, and approaches for improvement to ensure a successful pedagogically sound future addressing many scholars' concerns. Leadership in the FL department is a complex issue that has been identified and discussed in various studies from a variety of perspectives (Crookes, 1997; Freeman & Freeman, 1994; James, 1997; Paesani & Allen, 2012). As posited by The American Association of University Supervisors and Coordinators (AAUSC) (http://www.aausc.org/), the general fear that FL departments face revolves around the fact that these academic units are easy targets for elimination from the overall make-up of the university due to their typical small size when compared to other academic departments. Paesani and Allen (2012) explained that enrollment in advanced FL courses in higher education is often dangerously low, which underscores the need for leaders of FL programs to demonstrate their relevance and intellectual connection to the larger university mission. Given this pressure from the university’s administrative governing bodies, it is especially important that the language training students experience is expertly informed in both its design and execution. 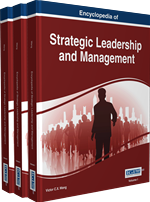 Generally speaking, there tends to be a focus on what qualities and behaviors make good leaders, which, is important, however, there is one other essential element which is their training in how to lead and manage programs in the best direction. For individuals and scholars, this is an ongoing quest that has motivated initiatives worldwide to address this complex multidimensional process (Jackson & Uhl-Bien, 2011; Mumford, 2006 among others). As Northouse (2015) explains: “some researchers conceptualize leadership as a trait of a behavior, whereas others view leadership from an information-processing perspective (p. 1).” The scope of this article is not to focus of the individual ability to have special characteristics or qualities that make them leaders, but rather to explain how leadership in a FL department is a phenomenon that resides in the context of the interactions between leaders and followers and to make leadership available to everyone (Northouse, p. 8). In this sense of the leadership definition, FL departments are similar to other academic units, however, the complexity of the structure and the different areas of focus (linguistic and literary) of FL programs has been the center of attention of several studies by scholars who have attempted to highlight common issues that could improve leadership and therefore the effectiveness of these programs. Decades ago in a reflective paper on the structure of FL departments, Crookes (1997) highlighted that the Chair and other leaders of academic programs cannot only focus on the quality of instructors and instruction, but rather on serving the interest of the organization as a whole, as classic bureaucrats (p. 69) as well as dealing with the financial pressure exerted by college and university administrators. In fact, Garret (2009) posits that budgetary stress has made a new trend appear in FL departments: many departments have contracted non-experts in the field of SLA as LPDs for non-tenure track faculty positions for their language program leadership which in turn has several consequences, including the weakening of the leadership position by potentially increased turn over, the lack of field specific knowledge for training and curricular design, and subsequently less informed decision making regarding curricular and personnel issues. Brady and Singh-Corcoran (2012) reiterated that the trend of hiring non-tenure track faculty poses a supplementary challenging layer precisely for these reasons. Therefore, the goals of the present chapter aim to demonstrate the current state of leadership in FL departments, the challenges that leadership in FL departments face, and how leadership in FL programs could be improved or enhanced while respecting the range of fields, objectives, and goals of the many constituencies involved in such departments. Second Language Acquisition (SLA): It is one of the main fields of applied linguistics that focuses on how a second language is acquired by adults. SLA studies often investigate the processes, products, and environments of language acquisition. Insights from these findings fuel pedagogical approaches to teaching practices. Language Program Director (LPD): A language program director typically supervises one or more language program. Usually there are Spanish LPDs and French LPDs. Association of University Supervisors and Coordinators (AAUSC): This association was created in 1980 to promote and strengthen foreign language departments by helping the preparation and supervision of teaching assistants. Foreign Language: In the context of this article a typical foreign language is Spanish, French, Italian, German, Arabic, Japanese, Chinese, and Russian. These languages are the most commonly taught ones in U.S. higher education institutions. American Council on the Teaching of Foreign Languages (ACTFL): This organization was founded in 1967 and since then focused on promoting teaching and learning of all languages at all level of instruction. Administration: In this case, the governing body of academic programs at all levels in the University setting. Chair: In this context, the Chair refers to the Departmental level administrator that oversees all other administrative positions within a given department.